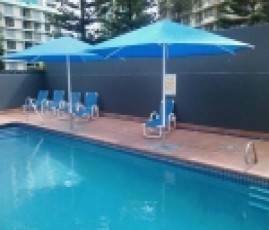 This heavy duty Queensland manufactured Umbrella Range has recieved wide support from the “Alfresco” & outdoor dining, & Restaurant trade. Ideal for Motels, Hotels & Resorts & the residential market. With a full 5 year comprehensive parts & paint warranty on all components, owners can be very confident with the long term stability. Physical manual operation- Pin Location Only. These models are not rope & pulley driven. Comes in 20 design colours. The Classic Series comes in 3 different sizes. 3m, 4m & 5m octagonal.